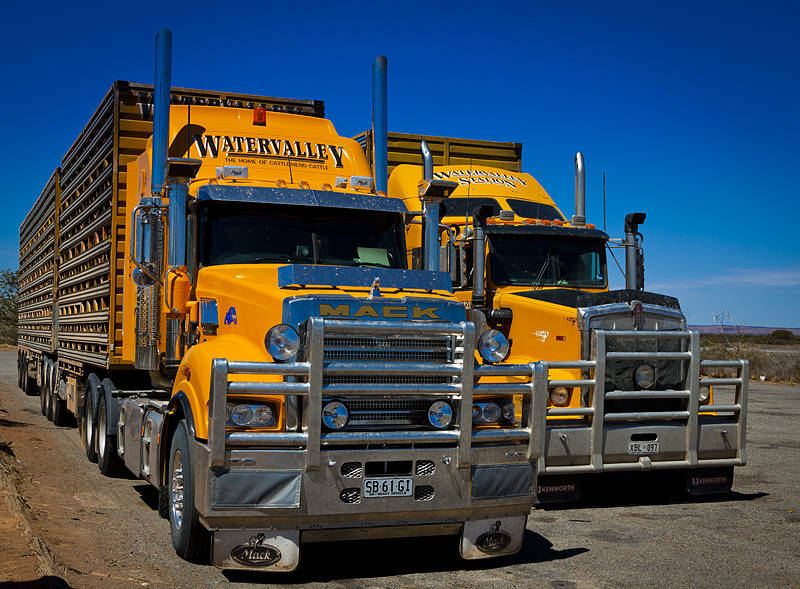 These trucks were parked at the Little Topar Roadhouse which we stayed at on our way into and out of Broken Hill in New South Wales. We were told you could “get a good feed there” and the bacon, eggs and sausage breakfast did not disappoint. We are currently staying at the Warrumbungle National Park. The rain seems to have been following us for the last two days. This has made all the Australians we have met very happy, however we had hoped to visit an observatory where you can attach your DSLR body to their telescope and get pictures of colourful gas clouds and nebula. If our flight to the UK were not leaving in a week we would probably wait for better weather. As it is we have arranged a visit to a mine on Tuesday before a final dash to Sydney. The sky looks pretty clear and blue in that shot! It was there but we are now 460 miles east of that drought ridden area.